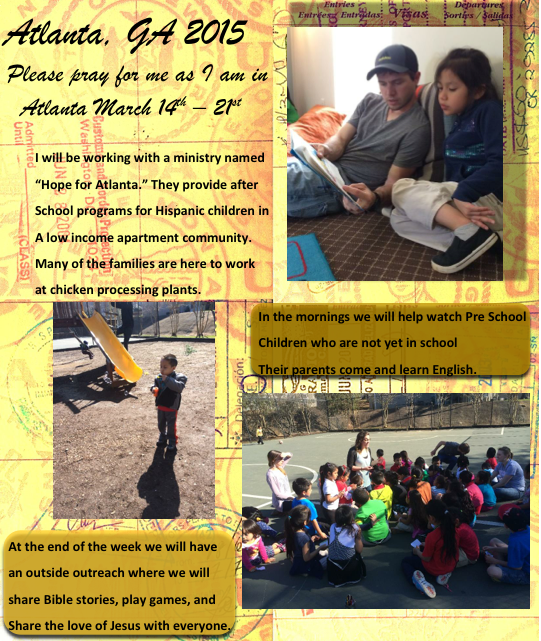 I have the incredible opportunity to go back to Atlanta, GA over Spring Break to share the love of Jesus with a community that struggles to overcome poverty. I will be working with an after school program, and an outreach to those who have moved to Atlanta for jobs and a better life. What better life, than to know Jesus, and experience His love. Below is a newsletter of what this week will be like. Please pray for me this upcoming week.